Cargo transport complex SkyWay is a product pipeline of an overpass type, mounted on supports. It is designed for transportation of bulk cargo with the volume of up to 250 mln tons per year. The height of supports allows to freely pass over the existing housing development, traffic arteries, electric power lines, communication lines and other services. The overpass has an operating string-rail track designed for a long-length train-unicar transporting bulk cargo, with the total carrying capacity of up to 100 thousand tons. Transport structure of the complex can be used for allocation of high-voltage power lines, solar batteries, communication lines. Wind turbine generators can be located on supports as well. Cargo SkyWay is an innovation in the field of bulk cargo transportation in mining industry. In contrast to traditional railway and automobile transfer, SkyWay gives an opportunity to carry out the development of those deposits, the operations in which were economically unprofitable or impossible. For example, in the conditions of mountainous area, in nature conservancy zones, in tundra or jungles. 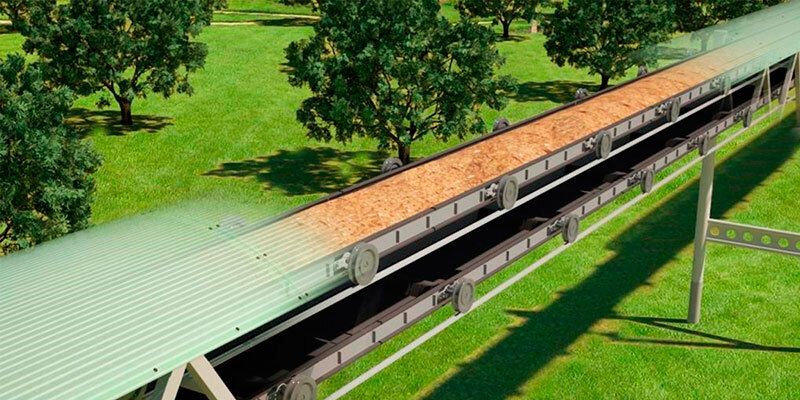 SkyWay technologies allow transport to move at the grade of up to 40% - which means that the system is flexible, with the overpass literally repeating the terrain profile. In addition, the track structure cost increases by only 25-30% in comparison with the variant for flat land. Application of SkyWay technologies makes it possible to reduce the net cost of rock mass transfer by 4-5 times in comparison with alternative transport systems, and by 8-12 times in comparison with railway transfer. in mountainous conditions - from 2.5 mln USD/km. the cost of single-track cargo railway in Australia for a customer starts from 5 mln USD/km.